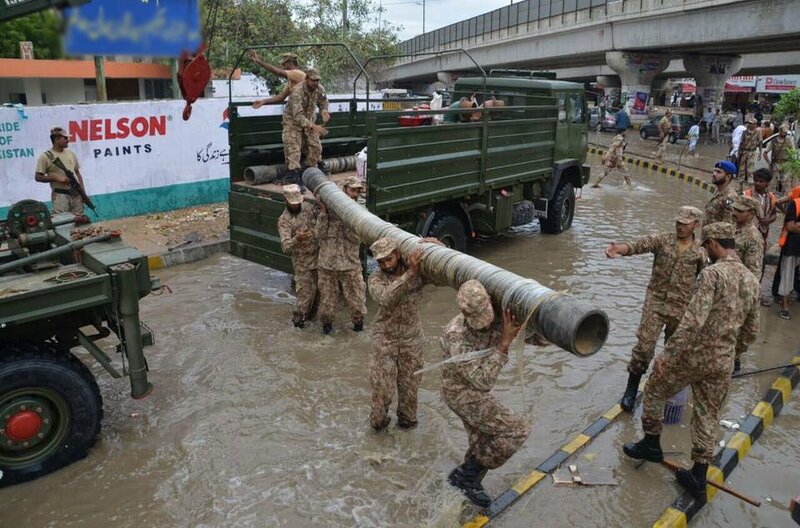 KARACHI: Pakistan Army and Sindh Rangers teams, with dewatering equipment, are busy round the clock to assist civil administration in clearing of areas affected by torrential rains. 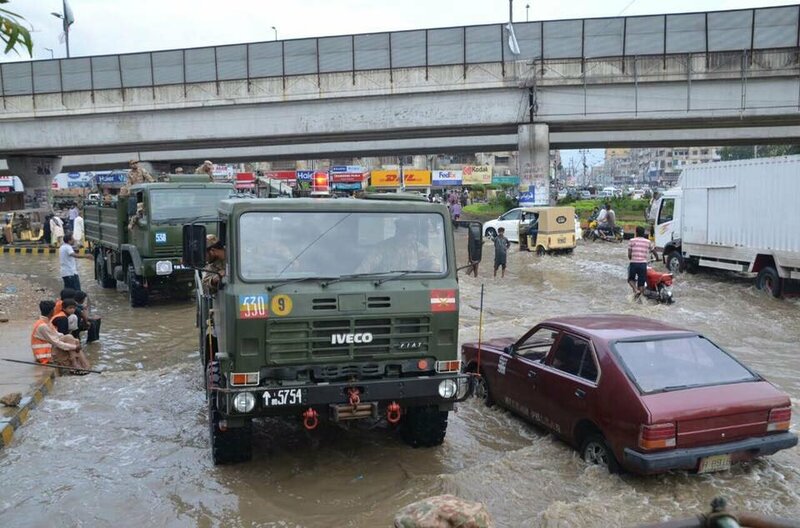 According to Inter Services Public Relations, Liaquatabad No 10, Gharibabad Underpass, Kabaili Town Block 5, Petrol Pump Chorangi, Nauras Chorangi, Old Golimar Chorangi, Nagan Chowrangi and Power House Chorangi have been cleared. Dewatering is in progress at Ayesha Manzil, Nazimabad underpass, Golimar Chorangi, North Karachi UC 13, Landikotal and Saadi Town, the ISPR said. It added that Orangi Nullah and Gujjar Nullah have also been regulated. 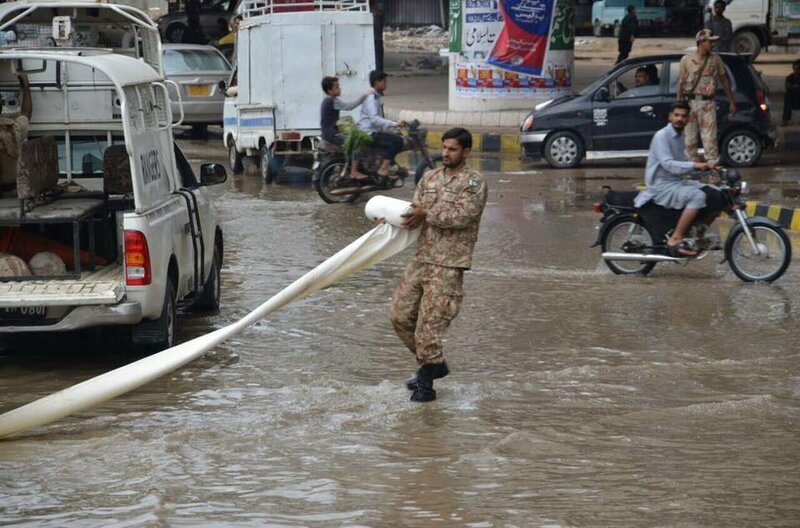 As many as 16 people lost their lives and the civic life was paralyzed in Karachi following unprecedented rains which saw the army troops being deployed to assist the local administration on Thursday. The early morning heavy rains on Thursday wreaked havoc in the megapolis, causing the worst type of urban flooding in years. 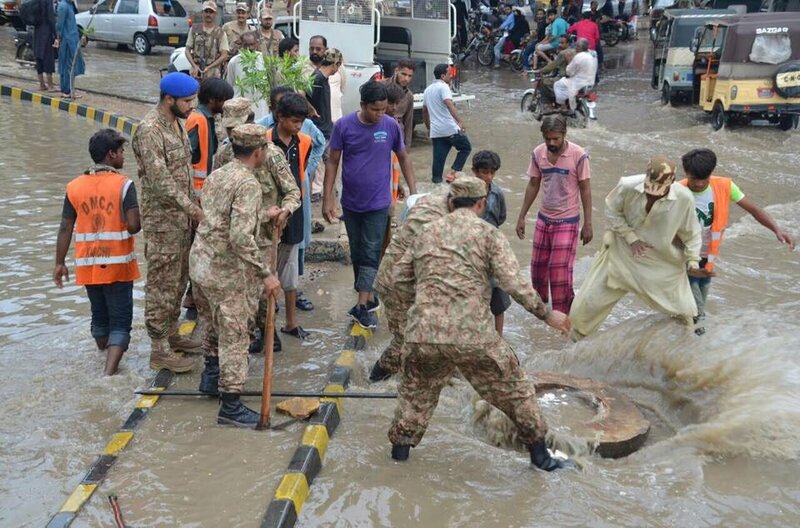 Army troops, Sindh Rangers and teams of Pakistan Air Force and Pakistan Navy were deployed in different areas of the city after City Mayor Waseem Akhtar and Deputy Mayor Arshad Vohra sounded helplessness in rescuing citizens and draining out water.